Share booth #14735 with others. Helping you provide the highest standard of patient care with storage you can trust! When it comes to your refrigerator and USP <800>, Helmer is here to help. Cold storage is an important part of keeping your hazardous drugs safe and stable. Improper cold storage can lead to unnecessary waste, financial loss, lack of compliance, and pose major safety concerns. As we get closer to July of 2018, facilities will continue to adapt their hazardous drug room to meet USP <800> compliance. 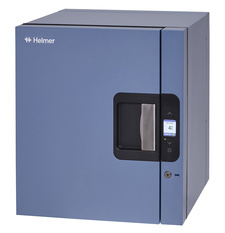 Helmer upright, undercounter, and countertop refrigerators are safe and effective cold storage solutions for your sensitive and expensive hazardous drugs. Undercounter refrigerators and freezers may be used free-standing, stacked, or under a counter providing flexibility for each facility with high-performance temperature stability for critical product storage. Pharmacy refrigerators and freezers are designed specifically for the high demands of healthcare. Built-in monitoring systems provide continuous monitoring, real-time alarm notification, and status notification for worry-free storage, allowing your staff to focus on the critical functions of their job. Pass-thru refrigerators create a boundary between USP <797> clean rooms and regular facility environments. Pass-thru refrigerators play a major role in enhancing clean room workflows, minimizing clean room foot traffic, and lowering PPE costs. How It�s Made Matters. Reliable storage at -80°C.